For a space that doesn’t make a sound, the mind can be the nosiest place in the world. The mind is full of constant chatter from reminders about deadlines, errands and meetings, to your own voice telling you to stop and take time for yourself. From listening to friends, family and co-workers, to learning what you need to know to earn a degree or make a living, to news, social media, sports and entertainment, the modern mind can easily become overwhelmed with clutter. This is the race known as life and many minds are constantly running on the proverbial hamster wheel. 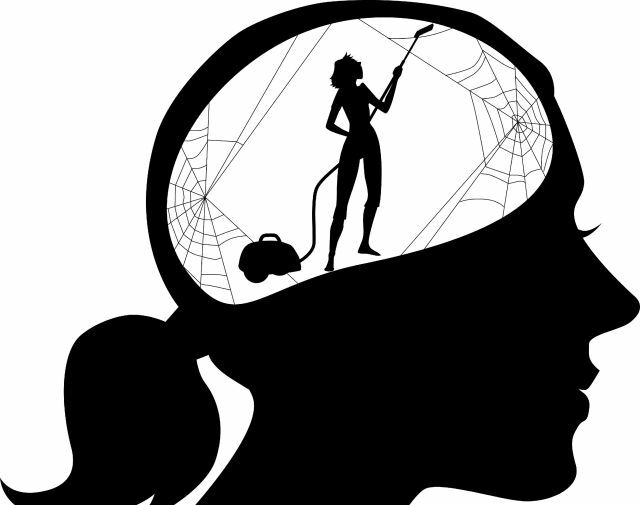 The mind can become full of clutter and getting rid of the majority of it can bring clarity. So how can you deal with all that mental clutter? Here are five ways. The mind and body are connected. When you do not take care of your body, your mind suffers. That is why it is important to be very aware of what you put into your body. Be aware of what you eat and drink, and choose food and beverages that promote good health. Junk food can hurt the body and mind. Physical activity helps clear the mind and produces endorphins that promote feelings of well-being. On the other hand, a sedentary lifestyle can lead to sadness and depression. Avoid the rumor mill whether at the office or in social circles, because gossip clutters the mind. Eradicate negative attitudes such as envy and resentment from your life and avoid spending time with people who bring you down. You can attract positive people to your life by becoming a positive person. Avoiding negative circumstances and negative people can help you get rid of mental clutter. Everyone made mistakes in the past, hurt others and hopefully learned from this. Holding grudges and retaining self-blame take up way too much mental space. Do your best to move on from these past incidences. The past is the past and you cannot change it, so learn to focus on the present and the future. It is also important to identify your stressors. Certain stressors can set people off and these can range from something small like sitting in traffic to having to deal with a person who brings you down. To be able to avoid your triggers, you must first recognize them. You would be surprised by how happy you could be after decluttering your mind. Living with a cluttered mind can be debilitating, so just like cleaning out your closet or pantry, it is important to clear the clutter from your mind.